Where there's people, there's liquor stores. See some of the Central California's signage at Roadside Peek's Liquor Store Signage Central California. 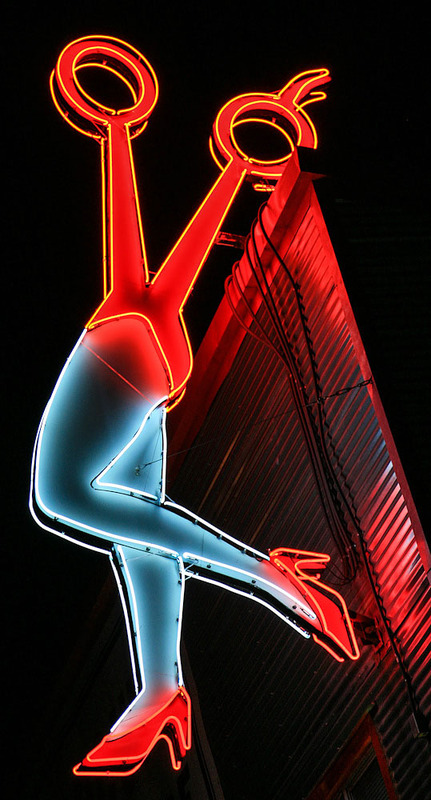 Neon signs are very eye-catching and can be seen from quite a distance away at night. See some of them here at Roadside Peek's Neon Signage Central California. Shopping centers used to rule the shopping day. Now, strip malls are all the rage. 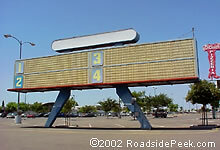 See some of the old marquees from shopping centers at Roadside Peek's Shopping Center Signage Central California. Central California is also home to drug stores and pharmacies, many of which date back decades. 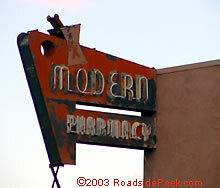 See some of the signage from these old standbys at Roadside Peek's Roadside Drug Stores Central California. 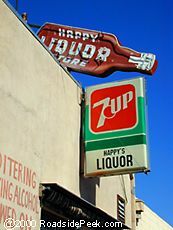 Check out some of the signage that can be found off the old cleaners businesses in Central California. See them here at Roadside Peek's Roadside Cleaners Central California. How about the rest of the roadside signage? Well, look no further than here at Roadside Peek's Other Roadside Signage Central California. 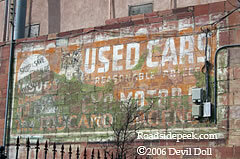 This ghost wall sign advertises some sort of used car business in Los Banos. See this ghost sign at Roadside Peek's Ghost Signage Central California.